Tom Keene appeared in B Westerns. 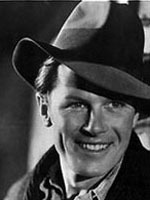 Actor Tom Keene who appeared in B westerns died in 1963, so the bio info and the pic on this profile is not accurate. There is a Tom Keena actor who worked around the time of this episode's recording, who's main contribution appears to have been in the tv soap drama "The Edge Of Night" .